The person responsible for providing us with all the information of the world is Larry Page; ranking on number 13 on Forbes richest people list with a net worth of 20.3 billion dollars. He is an American computer scientist, entrepreneur and the co-founder of Google. 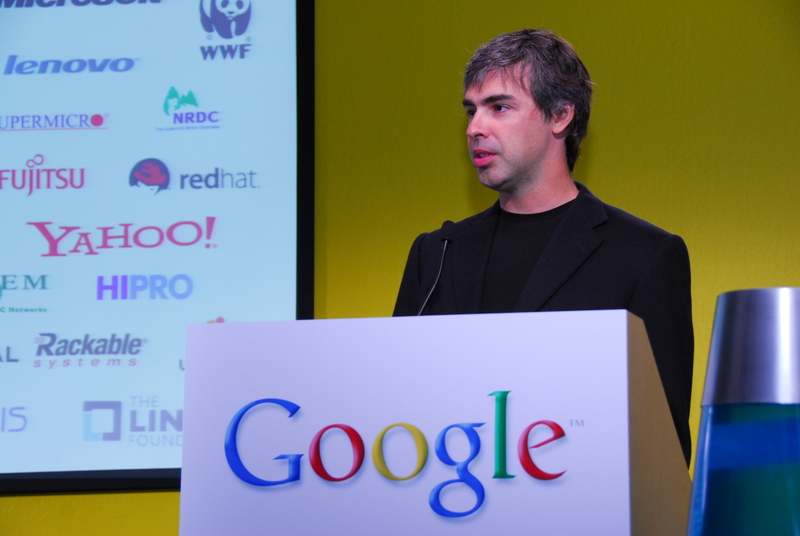 Larry Page was born on 26th March 1973 in East Lansing, Michigan. Both his parents were experts in computers and following his parents line of interest, Page graduated from the University of Michigan with Bachelor of Science in computer engineering and Master of Science from Stanford University. He was interested in computers from an early age and he wanted to start his own company from age 12. He was the first child in his school to do an assignment on word processor. It was during his time in Stanford when the first seeds of this brilliant thought were planted. After he entered the PhD program, he had to decide on a dissertation theme. This was when he came up with the idea that would link together web pages, like a citation links to a reference. He was joined with college friend and fellow PhD student Sergey Brin, who found this topic to be very appealing. The project was initially named ‘Backrub’. Both started working on this huge task of building a crawler that would convert backlink data into a degree of how important a web page was. Consequently, PageRank algorithm was created that made the duo realize that they could make a search engine far greater to the ones that were currently in use. The first version of Google came out in 1996 and it is still available on the Stanford University’s website. Google Inc. was founded in 1998 with Larry Page and Sergey Brin as co-presidents. Its initial domain name was ‘Googol’ which was derived from a number that is one followed by hundred zeros. This represented the vast amount of data that the search engine was intended to explore. They stated their mission as ‘to organize the world’s information and make it universally accessible and useful’. With a humble beginning from Page’s garage the company expanded to own few offices in California in 1999 and then an entire complex called ‘Googleplex’, that is of the most extraordinary workplaces of the world comprising of amazing recreational and exercising facilities. By 2001 Google was growing with a fiery speediness and making big profits. The company’s first public offering was $1.67 billion which gave it a market capitalization of $23 billion. Page became a multi billionaire at just 27. As a favorite of shareholders, Google’s stock prices rose immensely. Page received the Academy of Achievement’s ‘Golden Plate Award’ in 2004. By 2006, Google consisted of more than 10,000 employees with annual incomes of over ten billion dollars. Google bought several hardware and software companies out of which the most profitable was the purchase of YouTube for 1.65 billion dollars. Today, Google is one of the most used website with over a million servers worldwide. It processes more than a billion search requests every day. Larry Page is one of the most successful entrepreneurs who laid the foundation for a venture that has changed the way in which internet was used.